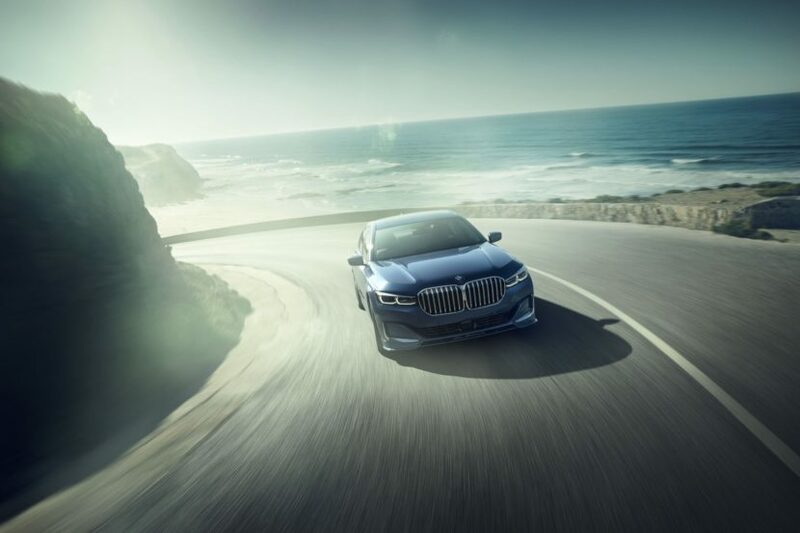 Today, ALPINA, together with BMW, introduces the revised version of its exclusive B7 xDrive sedan. The new 2020 B7 is the 6thgeneration full-size performance-luxury model from ALPINA and the 3rd generation of B7 to be available in the U.S.
Powered by the the latest generation 4.4-liter V8 engine with two, twin-scroll turbochargers, direct injection and Valvetronic fully variable valve timing and Double-VANOS variable camshaft timing, the new ALPINA B7 delivers 600 hp and 590 lb-ft of torque. The exhaust side of the turbochargers are equipped with a 54 mm (previously 50 mm) diameter impeller. Additionally, the ALPINA-specific intercoolers feature an interconnection to equalize and reduce pressure pulsations between the two cylinder banks of the V8 engine. This, together with a new engine management software, means that the peak torque of 590 lb-ft is now available from only 2000 rpm all the way up to 5,000 rpm (previously 3,000 – 5,000 rpm). The new ALPINA B7 features the latest generation 8-Speed Sport Automatic Transmission from ZF (8HP76) with ALPINA SWITCH-TRONIC. The transmission software has been thoroughly reworked by ALPINA and adapted specifically to the performance characteristics of the new twin-turbocharged V8. 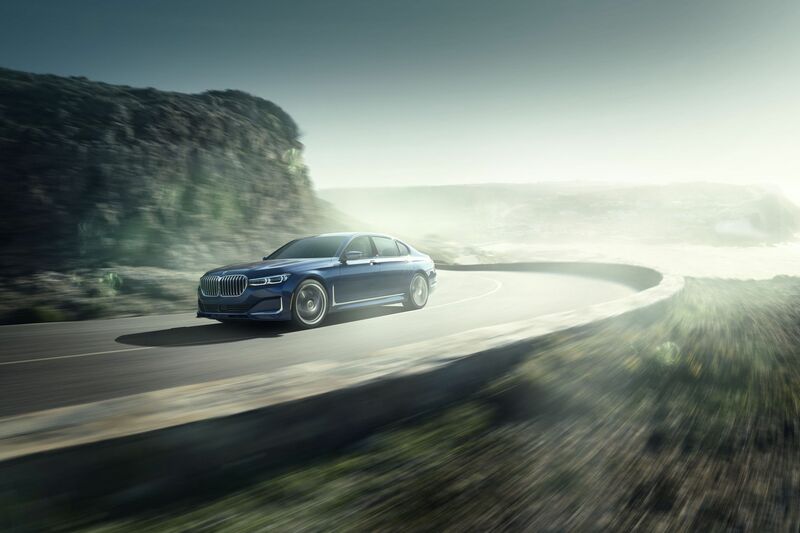 The new ALPINA B7 combines the latest suspension technology by usingthe standard two-axle air suspension system combined with Dynamic Damper Control and Active Comfort Drive with Road Preview. Active Comfort Drive with Road Preview also includes an anticipatory chassis control function. The advance information for controlling the combination of chassis systems is learned from driving style analysis readings, data from the navigation system and a stereo camera, and significantly increases ride comfort and active safety. The two-axle air suspension system with auto-levelling function also enables the ride height to be adjusted by a total of 1.4”. 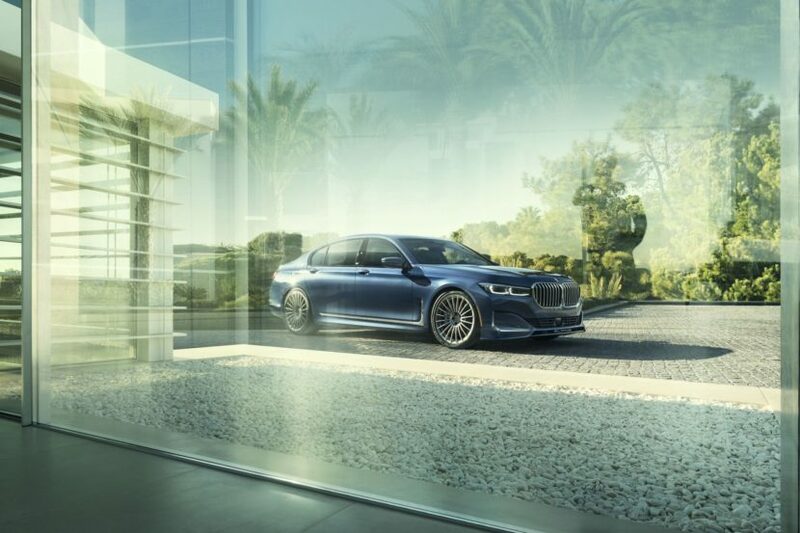 At speeds above 140 mph or when selecting Sport+ Mode the new ALPINA B7 automatically reduces its ride height by 0.6” for a lower center-of-gravity and improved handling. When needed, the ride height can also be raised by 0.8” up to a speed of 20 mph to increase ground clearance. The new ALPINA B7 is fitted with MICHELIN® performance tires measuring 255/40 ZR20 at the front and 295/35 ZR20 at the rear, mounted on 8.5 x 20” and 10 x 20” ALPINA CLASSIC wheels. Optional 21” ALPINA CLASSIC wheels feature a super-minimalistic design – high-density and high-strength aluminium as a result of forging leads to a weight saving of more than 20% of unsprung mass per wheel. For those customers who desire it, 20” all-season tires are available as a no-cost option. 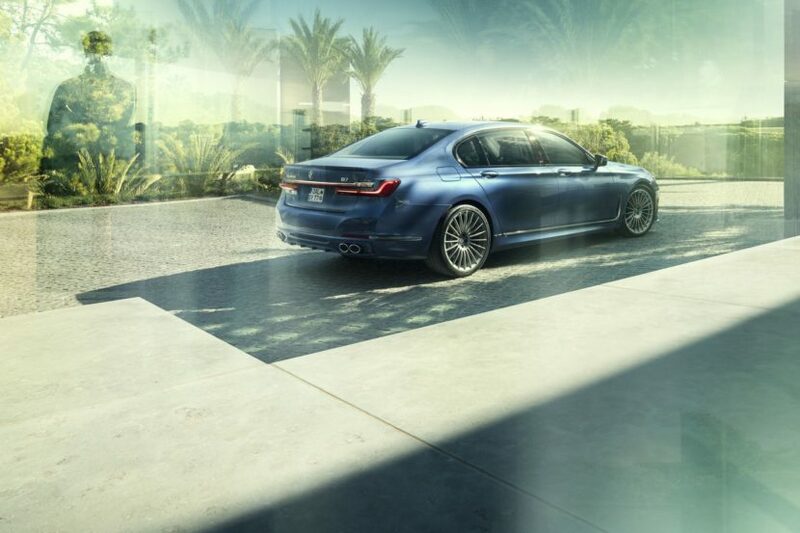 The 2020 ALPINA B7 features the Back-Up Assistant, which helps the driver to exit parking spots or maneuver when space is limited. This is done by storing the steering movements made during the vehicle’s last forward maneuver when traveling at speeds up to 22 mph. The system is then able to steer the vehicle for distances of up to 50 yards along exactly the same line it took when moving forward. All the driver has to do is operate the accelerator and brake pedals and monitor the vehicle’s surroundings. Standard on the new ALPINA B7 is the BMW Intelligent Personal Assistant, an intelligent, digital helper which responds to the prompt “Hey BMW” and is an intrinsic element of the iDrive 7 operating system. The market launch is scheduled for Q3 2019. MSRP is set at $141,700 plus $995 Destination.